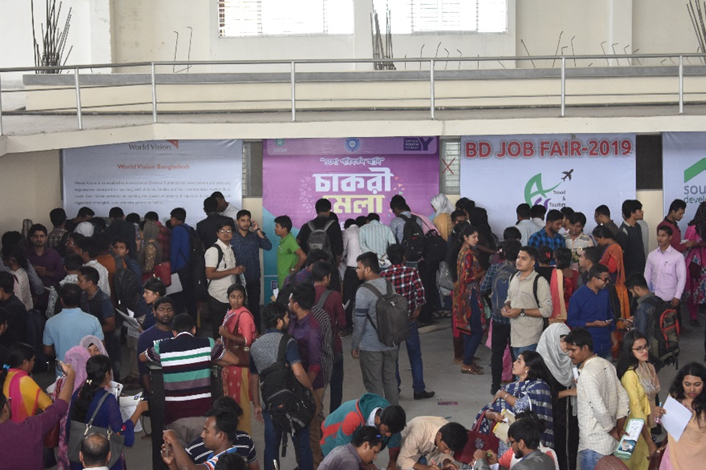 In early 2019, 2,033 young people and 112 companies took part in job fairs held by three of EYW’s partners in Bangladesh. The fairs were a fantastic opportunity for young women and men to connect with the job market, with many gaining firm job offers as a result. Three Empower Youth for Work partners – UCEP Bangladesh, CODEC and the WAVE Foundation – held a series of job fairs across the project districts, where a total of 112 companies set up stalls to provide information about the jobs they offer and the skills they look for in employees. Youth were able to submit their CVs and take part in interviews with prospective employers. As well as giving young people the chance to secure a position, the fairs gave them valuable interview experience and insight into the job market. The fairs aimed to connect youth with economic opportunities and enable them to network with potential employees in various industries. Young jobseekers also received guidance on making a job application, how to create a strong CV, how to present themselves to employers, and how to achieve their career aspirations. In total, almost 200 of the participants were offered a job and 180 were called for an interview. 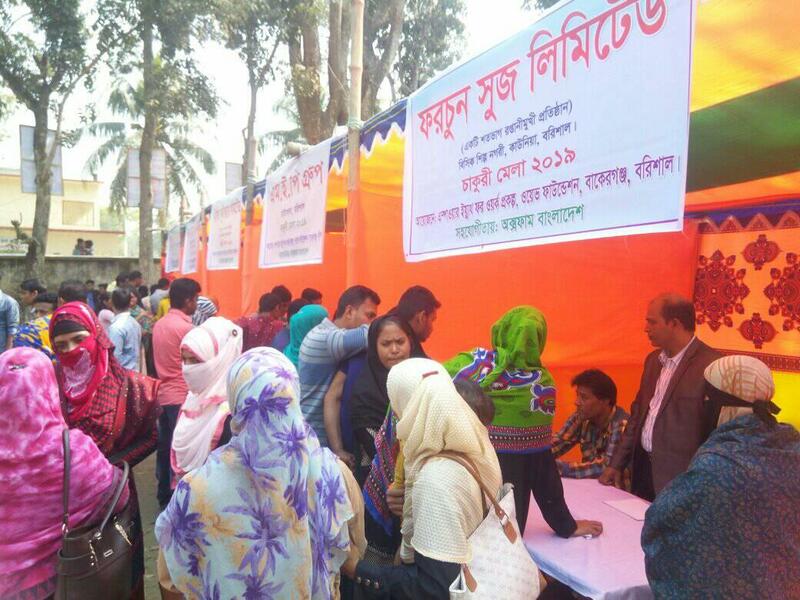 UCEP organized employment fairs in Barisal, Khulna, Rajshahi and Rangpur, which were advertised in local newspapers and on social media. In all, 66 companies set up stalls, offering various activities and information for the 1,413 young people and local partners who took part. A huge range of national and international companies and organizations were represented, in sectors ranging from healthcare to leisure, catering, technology and agriculture. They included Walton Hi-Tech Ind. Ltd, World Vision Bangladesh, Khulna Life Care Hospital, New Zealand Dairy, DECATHLON, Northern University of Business and Tech, and the British Council. Young people received guidance and advice about the job market and working life, and 185 youth graduates received a job offer. In addition, the companies advertised 3,934 places for job openings in different occupations. The job fairs provide a gathering place where young people can find out more about different jobs on offer, decide on a career that is right for them, and better understand market demand. As the results show, the job fairs organized by EWY partners are an effective way to reach large numbers of young people, connect them with employers, and give them a step on to the career ladder. CODEC attracted 41 companies to its job fair, which again advertised various job vacancies and opportunities to the 70 youth taking part (49 male, 21 female). Following the fair, 15 of the participants were called for interview. On 27 January, the WAVE foundation held a job fair with 5 different companies advertising their positions – namely Fortune Shoes, MEP group, Premier footwear Ltd, MJ industries and Arif garments. Around 550 young people attended, along with members of the wider community. Over half of the youth submitted their CVs to the companies. As a result, seven received a firm job offer and 165 young people were called for an interview.